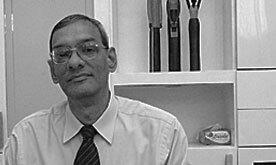 Shekar has been working with the company for over two decades and has helped build the group's business across a broad array of service offerings. Shekar's area of specialization is in developing business, marketing, and communication strategies globally. He has worked with leading companies in various parts of the world and has helped them launch, manage, and grow their brands and businesses significantly. Shekar has served on the faculty at the Integrated Marketing Communications program at Northwestern University's Medill School for the past 14 years. He, along with professor Don Schultz, has developed a course on "Global Marketing Communication," for graduate students. Northwestern University inducted Shekar into the Alumni Hall of Achievement in 2002, a rare honor. Shekar holds an MBA (Delhi), and an MS from Northwestern University..